Modulus is a premier application-hosting platform offering features to address the needs of individual developers and enterprises alike. Modulus is the best way to deploy, scale and monitor Node.js, Java, PHP, Nginx, and Python applications in the cloud, on-premises or a hybrid of the two. Modulus is a home for web applications, Node.js hosting, integrated MongoDB and performance metrics, as well as helping enterprises drive Docker and container adoption. 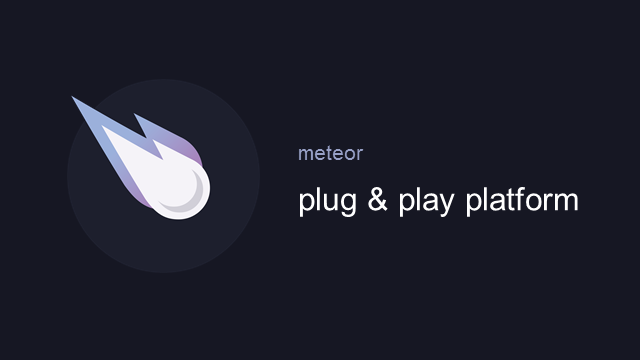 Join us with special guest, Josh Owens, creator of @meteorjsclub, @craterio, and @meteorpodcast, as he walks through the ultimate plug and play platform. As a DevOps professional, you want to deploy your code faster and easier in public, private, and hybrid cloud environments. Modulus enables you to do just that, providing world-class security, portability, availability, performance, monitoring, and service. Rapid changes in the way media is consumed is changing how Nielsen collects market data, necessitating a move from on-premise to cloud computing. See how Modulus, and its ability to support a hybrid environment, gives Nielsen the ability to scale and move to the cloud on demand. Brett Timperman of Kroger gives a recap of the biggest developments at this year's DockerCon. Brett Timperman of Kroger talks about ways you can champion containerization. Learn how Modulus has solved critical issues running Docker in production. With over 3000 containers running applications, we’ve hit many roadblocks with our Docker rollout. I’ll share some of our largest issues working with Docker and how we’ve fixed them. If you’re new to Docker or looking to start using it in production this is a session you won’t want to miss.